The bunker off Tom Nevers Road was to be used by President John F. Kennedy and family if there was a nuclear war. 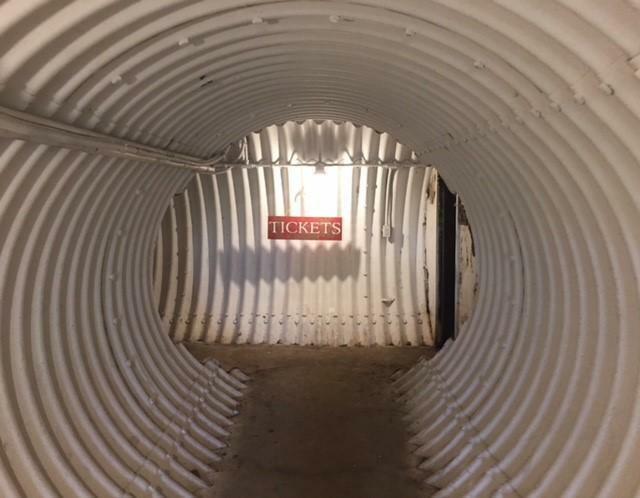 Nantucket officials are considering whether to make a museum out of an underground military bunker that was reportedly built to shelter President John F. Kennedy from a nuclear attack. 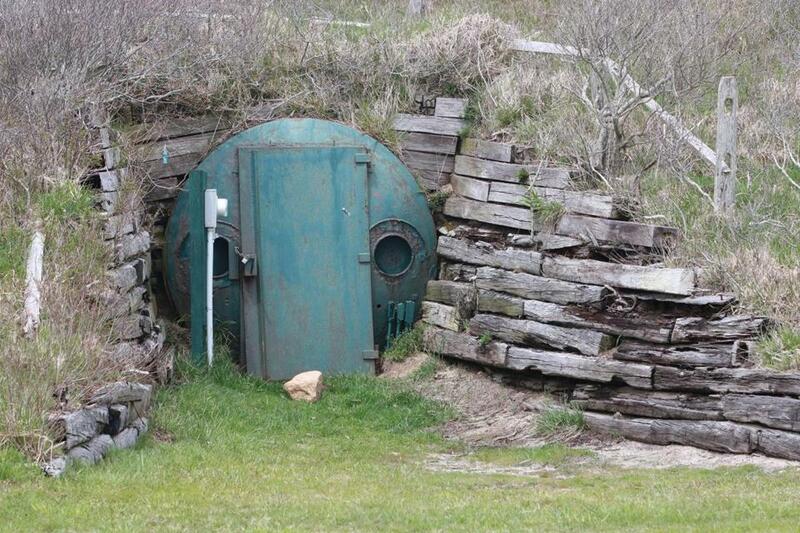 The Cold War-era fallout shelter is located off Tom Nevers Road on the southeastern side of Nantucket. Some locals call it “the Kennedy bunker,” and the Kennedy connection has been made in past media reports and books. Now there’s talk about turning the town-owned bunker, which is usually closed to the public, into an educational exhibit and tourist destination. “We’re not against it,” said Gregg Tivnan, Nantucket’s assistant town manager. He said an organization based in Florida has approached the town with the idea of turning the bunker into a museum. Anthony Miller, who owns the management company that runs the Palm Beach Maritime Museum in Florida, acknowledged that he’s spoken to local officials about the idea. “We’re looking to open it up as educational center to the public,” said Miller, who noted that planning is in the preliminary stages. “It was top secret at the time,” Miller said. Today the town’s public works department uses the fallout shelter as storage space for tables, chairs, and other equipment used at the annual island fair. 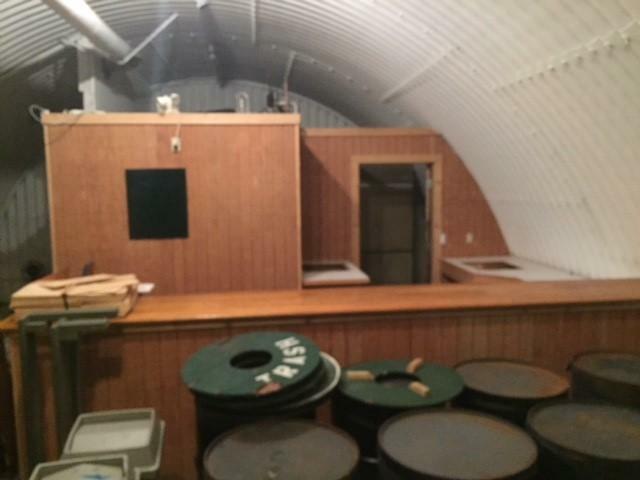 The bunker has been opened to the public occasionally during the fair, Tivnan said. The bunker is well-known among locals, he said. “It’s not hidden,” he said. Tivnan said a museum is one of several possibilities for the bunker. If the town’s select board decides to pursue that option, a request for proposals would need to be drafted, he said. Voigt said the bunker was built under a dirt mound on otherwise flat terrain. According to local lore, the facility was built to protect President Kennedy if a nuclear war ever broke out while he was at his summer home across Nantucket Sound in Hyannisport. Mark W. Voigt, the town’s facilities manager, said he’s not aware of any evidence that Kennedy ever visited the site. Voigt said the bunker was built under a dirt mound on otherwise flat terrain. The interior is painted white, and inside the temperature is “cool in the summer, and warm in winter,” he said. Once you open the door, you walk down a tube-like tunnel that connects to a larger room, he said. “That’s pretty much it,” he said. John Allen, president of the John F. Kennedy Hyannis Museum, said he was aware of the bunker’s existence, but he didn’t know much about its past. 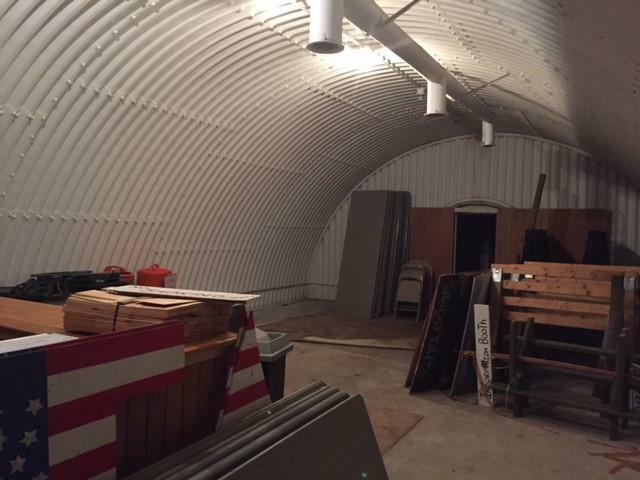 Nantucket officials are considering the possibility of turning this underground military bunker into a museum. According to an Associated Press report from 1976, Kennedy’s secret hideaway was located on the site of a now-defunct Navy submarine surveillance base.